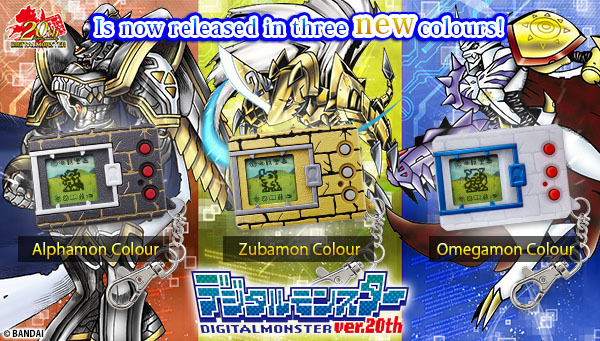 “Digital Monster”, which total sales reached over 8 million, just released the “Digimon Ver.20th series” new version with three new colours: Alphamon Colour(Black), Zubamon(Gold), Omegamon Colour(Pearl White)! 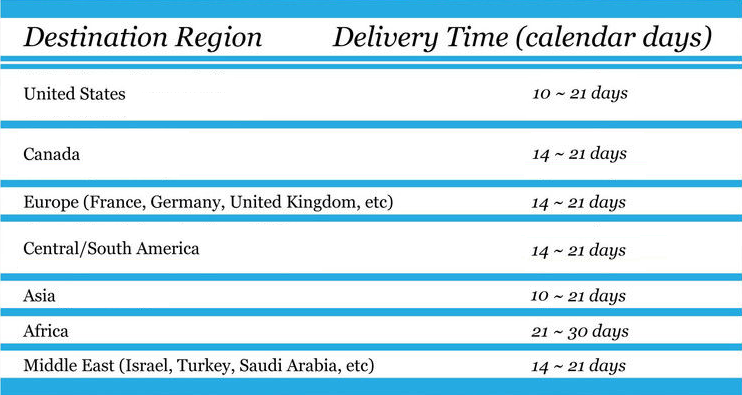 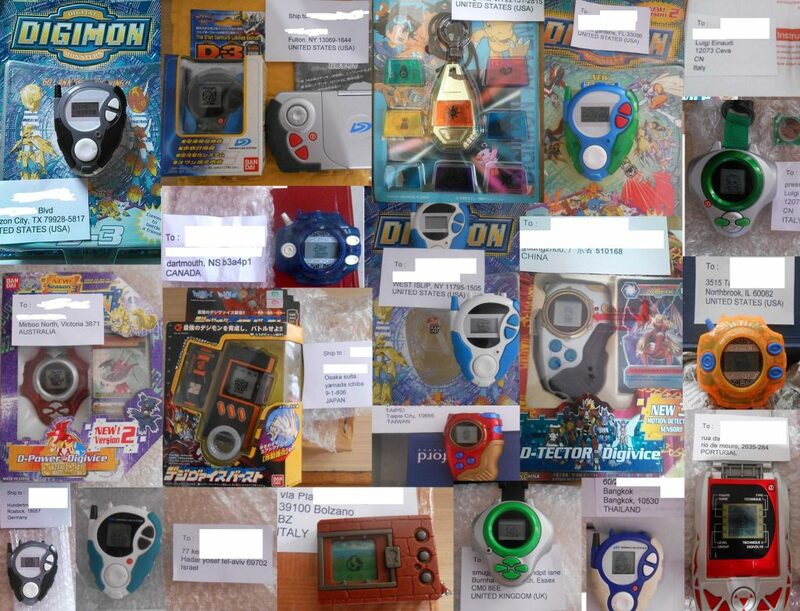 Besides all Digimons of past Digivice series Ver.1~Ver.5, 10th Anniversary Character “Dracomon”, 15th Anniversary Character “Huckmon” and the new 20th Anniversary Character “Zubamon” are also being included. 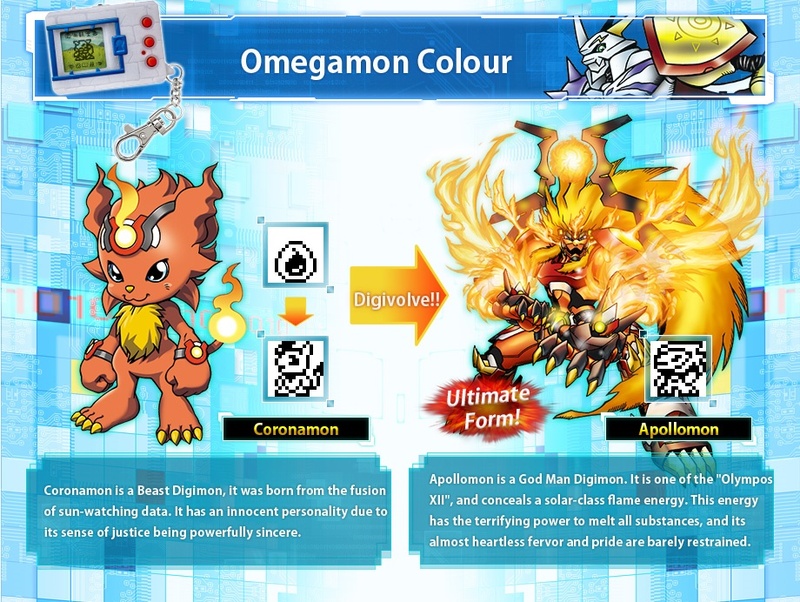 Total will have 154 Digimons and you can bred 134 of them. 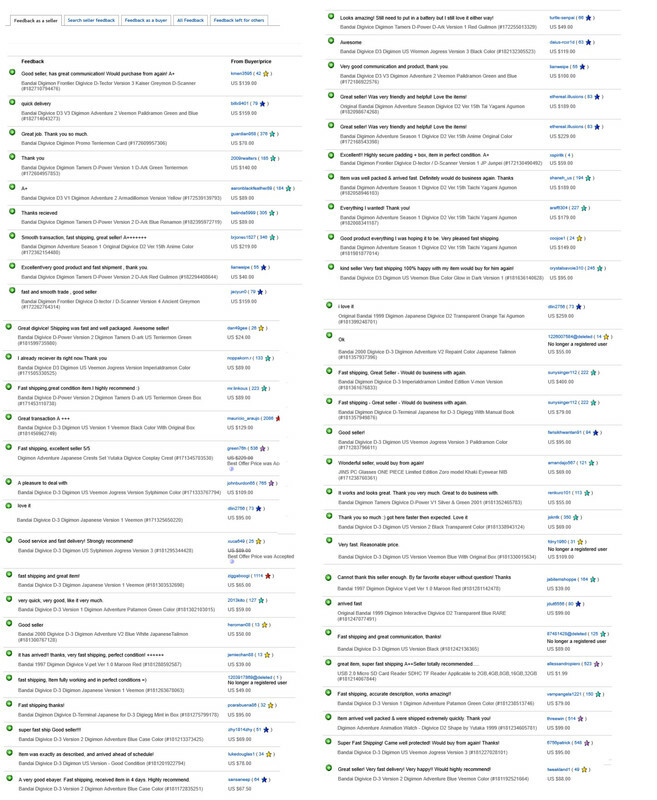 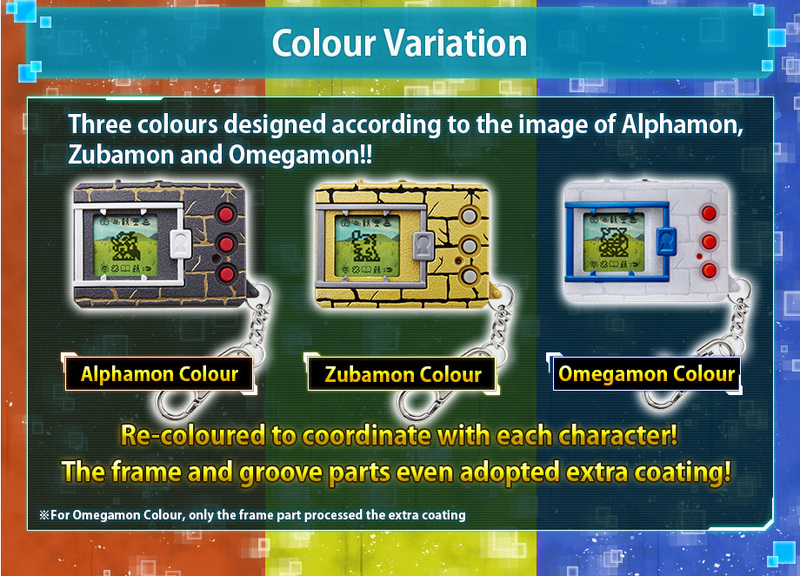 Also, there is a Digitama called special Digitama which you need to complete some conditions in order to get it. 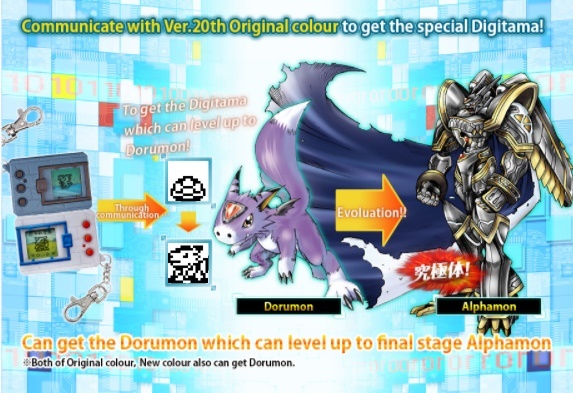 “Lunamon” in Alphamon Colour, “Meicoomon” in Zubamon Colour and “Coronamon” in Omegamon Colour will also appear in the special Digitama, they can even digivolve into ultimate form. 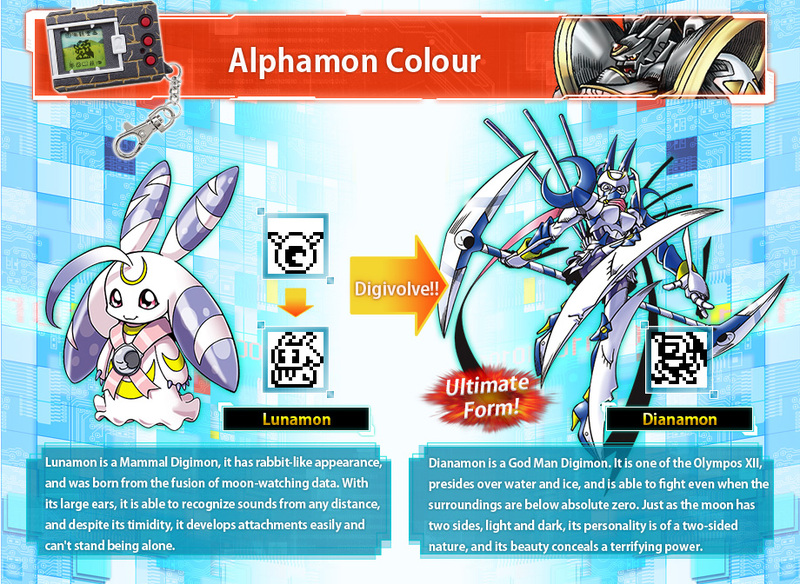 Furthermore, there are many other ultimate form of Digimons included. 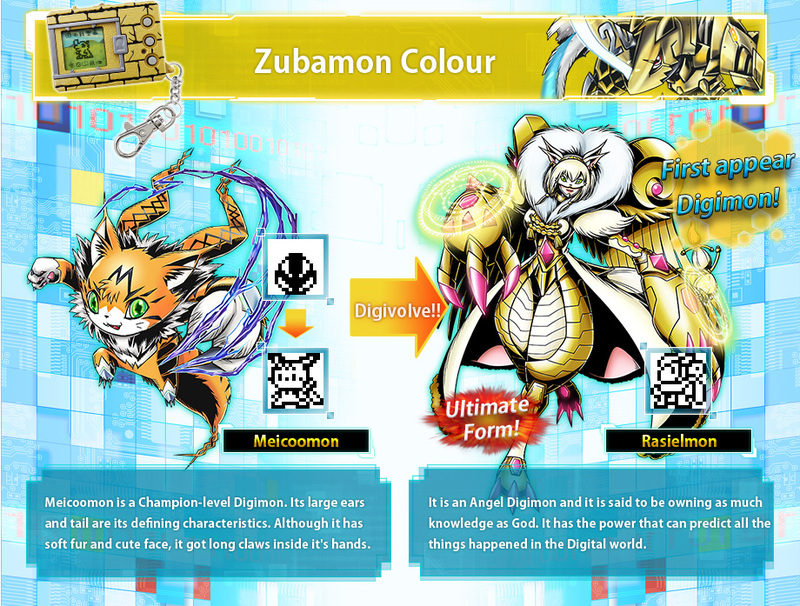 When you use two specific ultimate form Digimons to join double battle, the two Digimons can combine together to become a stronger Digimon.